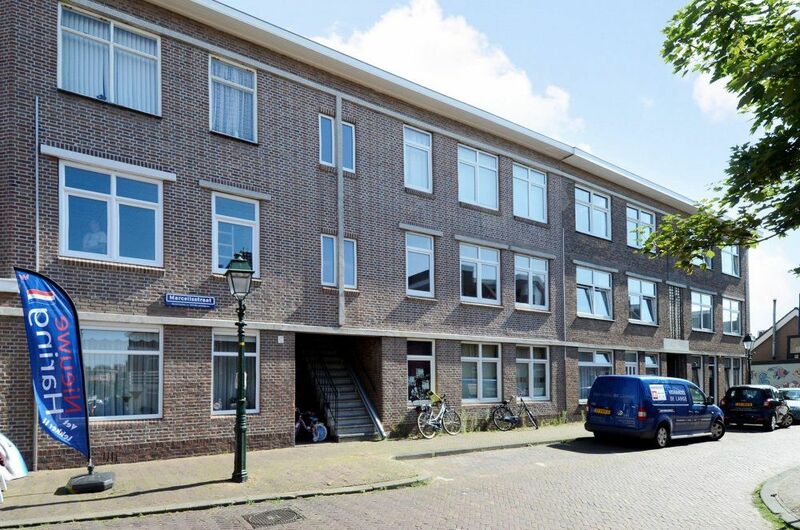 Beautiful and completely renovated 3-room apartment (2 bedrooms) located on a quiet street in the area Scheveningen-Dorp, close to a wealth of shops and amenities on the Keizerstraat. The International Criminal Court for the former Yugoslavia, OPCW, Eurojust, Europol and other international organizations are moments away. And a walking distance to the beach, the harbour and the Boulevard. staircase to the first floor; entrance apartment; spacious hall that provides access to all rooms. The bright living/ dining room is located at the front of the apartment with nice open view. The master bedroom with large wardrobe is located in the rear with access to the large sunny balcony by double doors. Spacious bathroom with shower, wash basin with storage space and washing machine/ dryer combination. Kitchen with all the appliances one could need such like fridge/ freezer, combination microwave and oven, Nespresso coffee machine, dishwasher and induction hob with extractor fan. Second bedroom located in the front. Separate toilet with sink and storage room available in the apartment.